Things to Do in Budapest – Events Guide brings you a list of events and interesting things to do in Budapest in February. February means Carnival (Farsang) season in Hungary, so if you are visiting Budapest in February you might encounter any of the numerous balls and custome parties that Hungarians hold during this time. Farsang for Hungarians is a kind of “Halloween” when people celebrate to scare away winter. Carnival time starts in February with Balls and Festivals and preceeds Lent. Since winter is about to leave,there are even more things to do in Budapest during this period, the great winter sales are still around, opera and theater performances, concerts, ice skating and much more. Weather is still cold in February but bringing gloves, a scarf, a warm jacket, a winter hat, warm and comfortable shoes, especially for sightseeing and shopping sales you will be fine. Do not forget a bathing suit, as you shouldn’t miss the thermal baths!! Please find below our top picks’ list of things to do in Budapest in February, you might be interested in doing something else besides sightseeing while visiting Budapest. Mangalitsa (Mangalica in Hungarian) is a breed of pig, descendent directly from wild boar (but with cute curly hair), which once was considered an endangered species and now breed mainly in Hungary and the Balkans. The IX. Mangalica Festival offers all kinds of Hungarian specialties made from Mangalica which is actually a low cholesterol kind of meat. Sausages, ham, bacon, pig stews, home made pastries and jams are just a sample of all yummy dishes you can find in this Festival. The main attraction of the festival is the cooking contest when cooking teams compete to make the best Mangalica stew using the traditional bogrács(a large suspended metal pot for cooking outdoors over an open fire). Also look for the Arts and crafts stalls, folk music concerts and dances, and spirits and cheese tasting. If you are in Budapest during this time, come and enjoy one of the many unique Hungarian Festivals. János Hégy is a beautiful place located in one of the most beautiful areas of Buda Hills from where you can admire the entire city of Budapest. 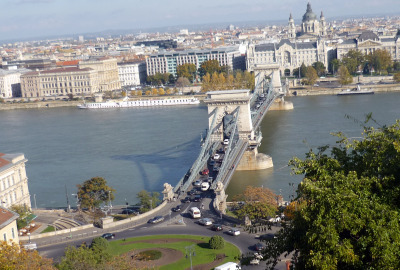 János hégy is the highest point in the Buda Hills where you can walk up to Elizabeth lookout and enjoy breathtaking views of the city and surroundings, have a relaxed walk or even take a ride back to the city on the children railway. The chairlift to John’s hill works daily from 10:00 am to 4:00 pm Monday to Sundays and Public Holidays. The chairlift runs depending on weather conditions ( It doesn’t run on windy, stormy, foggy or rainy weather). Information: 06 1 394 3764. How to get there: The easiest way to get to Zugligeti Libegő station is to take bus number 291 at Nyugati Station and get off at the last stop. From January until the middle of February, Budapest’s shopping malls, department stores, boutiques and all kind of shops launch the winter shopping sale offering great bargains that go up to 70% off. Budapest winter shopping sale is the perfect time to find great bargains and update your wardrobe. Winter Sale in Budapest usually begins on December 26th and lasts for the entire month of January, although some stores keep the sale until the middle of February or until stocks last. 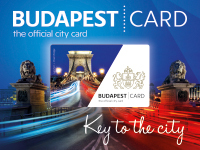 This is the perfect opportunity to go shopping in Budapest and find something unique at a great price. Vaci utca is a great place to start. There you can find lots of worldwide known stores as well as local ones. Shopping centers like Westend, Arena Plaza, Arkad, Mamut, MOM Park and Allee shopping malls are great choices as well. Ice Skating is one of the coolest things to do in Budapest in February. You can find several great ice skating rinks all over the city, so grab your skates (or rent some at the rinks) and have fun! Ice Skating in the Budapest City Park Ice Rink is a traditional winter experience for Hungarians and tourists alike. This Ice rink was open for all in December 1876 and since then it has been for generations a favorite winter activity to do in Budapest in December.Recently fully renovated the City Park Ice Rink is the best of all. Weekends: 10:00 am-2:00 pm and 4:00 pm-9:00 pm. The fourth version of Budapest’s Fish Festival is taking place at Millenaris Park in the middle of February. Live music, cooking contests, wine and Pálinka tasting, children programs and folk performances will all be part of this unique festival. 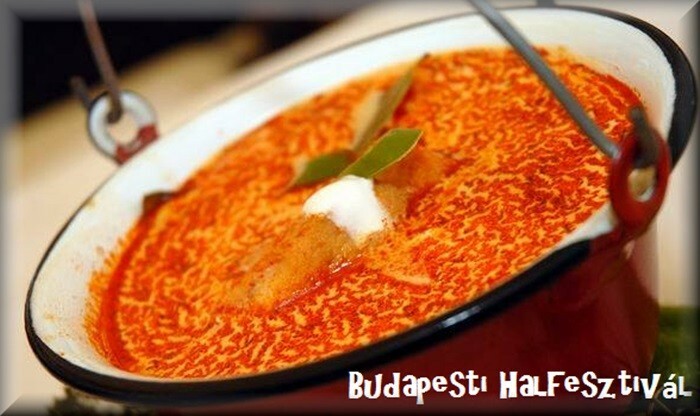 If you like fish, don1t miss this event where you will find plenty of fish dishes as well as the very traditional Hungarian halászlé (fishsoup). How to get there: How to get there: The best way to get to Fish Festival in Millenaris Park is taking Red Metro Line (M2) and getting off at Moszkva Tér station. Alternatively, you can take trams 4 and 6 and get off at Mammut shopping center’s stop. When: Every Friday and Saturday Night of February, 2016. From 10:00 pm to 4:00 am. 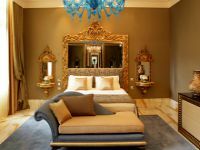 It opens its doors every Friday and Saturday night to enjoy a quiet spa experience. Visiting Rudas baths at night can be a unique thing to do in Budapest in February. Where: Budapest Opera House Even if you are not an Opera lover, going to the Budapest Opera is a life experience. –L’elisir d’amore. Donizetti, G. Opera. February 1,6, 9, 11 , 13, 15..
–Il barbiere di Siviglia . Rossini, G. Opera Buffa in two acts. February 11, 13, 15, 16, 22. – Mefistofele . 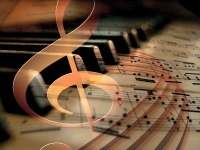 Boito, A. February 9,12, 14, 16,19, 21, 23. – The Abduction from the Seraglio. Mozart, W. A. Opera in three acts. February 8, 12, 14, 16, 20, 25, 28. Going to the opera in Budapest is an extraordinary experience you shouldn’t miss while visiting this wonderful city. The Budapest Opera House is a stunning building, considered one of the finest opera houses in Europe. If you are in Budapest in February take advantage of the very affordable prices and go to enjoy a great Hungarian production. More information: Check the Opera house Website for detailed information on performances, dates and tickets. If you are interested in any type of art, visit Budapest’s Palace of Arts and enjoy Hungarian’s rich cultural life.This is truly one of the things to do in Budapest in February you shouldn’t miss. More things to do in Budapest in Marc is coming soon….